The Corning Museum heard of these glassmakers still using methods written down by the ancient Sumerians mentioned on Cuneiform tablets. 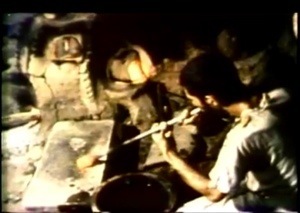 So in 1977 they sent an expedition to the Afghanistan city of Herat to record these guys at work. Amazing video.